Real-life escape room games are a type of physical adventure game in which people are locked in a room with other participants and have to use elements of the room to solve a series of puzzles, find clues, and escape the room within a set time limit. Some games include sub-plots. The games are based on “escape the room” video games in which the player is locked inside a room and must explore their surroundings in order to escape. Players must be observant and use their critical thinking skills to escape the room. Other inspirations include adventure board games and movies. 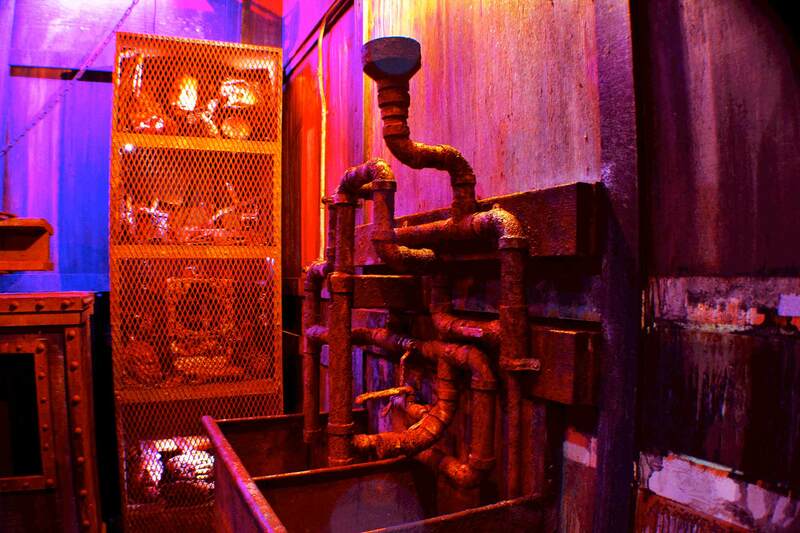 AWARDED #1 ESCAPE GAME IN ILLINOIS & TOP 10 IN AMERICA – USA Today! 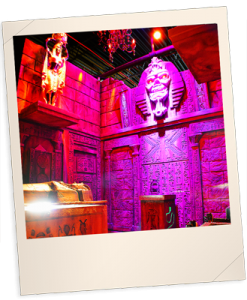 Traps have sealed your fate, doors have closed and you have 60 minutes to find the sacred scarab and escape the tomb. 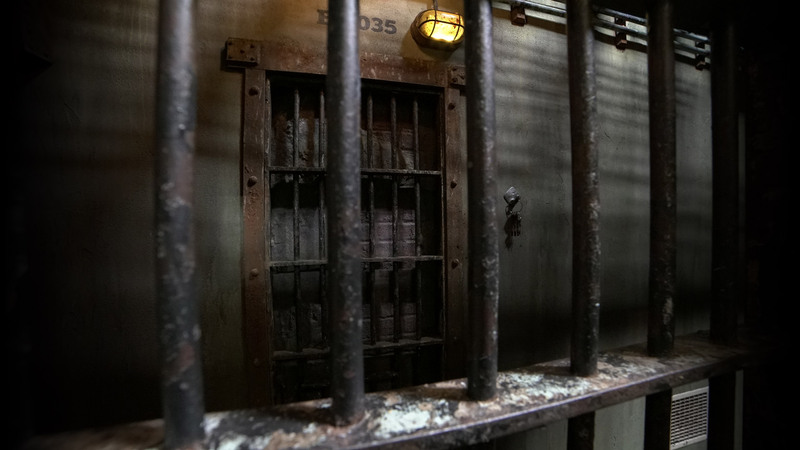 This escape room features a super realistic environment within a 20 foot tall room, special effects, secret passageways and more! You and your friends have gone urban exploring in the abandoned Abraham Ormerod Medical Centre when suddenly the door behind you slams shut and locks. You have 60 minutes to escape the hospital before Doctor Death returns! WARNING: This game contains optional live actors, please let game master know before starting game if you want actors or not. Loaded with almost a thousand tons of cargo, your on a vessel set sail from Chicago bound for Holland. under the command of A 24-year-old captain thick fog and storm surge conditions blinded the 13-man crew and your ship ran aground some 300 feet off of South Manitou Island. You have 1 hour to escape the ship before it fully capsizes. Mind Trap Escape Rooms are the ultimate unique birthday and celebration activity. We can accommodate groups of all sizes, and are ready for you! This new and exciting way of team building is absolutely perfect for all types of teams and businesses. Build new relationships and strengthen existing ones. Rain or shine, MindTrap Escape Rooms are a perfect activity to do when you simply don’t know what to do. Skip the movies and the mall, come escape boredom. 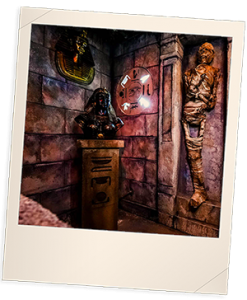 Mind Trap Escape Room is a real-life room escape game based on the popular computer and mobile phone escape games. Escape games are the newest craze sweeping the nation – a fun, team-building, brain-busting experience! After entering a room with your team of up to 10 people, the door closes behind you. 60 minutes are on the clock! You must work together in order to find clues and solve puzzles that will lead you to your escape. It is part scavenger hunt and part puzzle game. No, this is suitable for anyone who is willing to have fun and keep an open mind. Children under 13 must be accompanied by an adult. Participants 18 years and younger must bring a waiver signed by their parent or guardian. Please arrive 15 minutes before your scheduled time as events will start promptly. If you arrive after the booking time on your ticket, we cannot allow you inside the room. This would be disruptive to the game in progress. No refunds will be offered for late arrivals or no-shows. Any number ranging from 2-10 people depending on the room. Keep in mind the smaller the group the harder the room will be to solve. ARE WE REALLY GOING TO BE “LOCKED” IN A ROOM? Yes and no. You will be locked in a room but there is a emergency exit accessible all throughout the game if you need to leave. However, once you leave the room the game is over. WILL THERE BE PEOPLE I DO NOT KNOW IN THE ROOM? Yes, we do have a six person minimum for private rooms, once you make your reservation please email us or call us to have your room experience made private. CAN I BRING A CELL PHONE INTO THE GAME? No. The whole point of the game is to escape the real world and have fun without electronics for an hour. The use of electronic devices is strictly prohibited and your removal from the game will be immediate if caught using a cellphone. 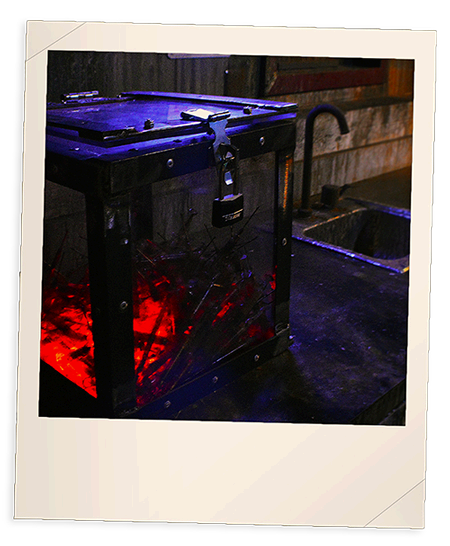 We do have a lock box that you can place your items in. IS THE ESCAPE ROOM WHEEL CHAIR ACCESSIBLE?